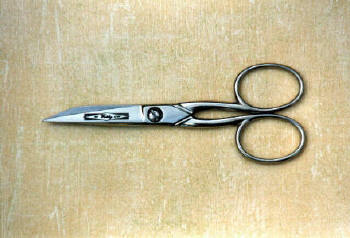 Small Textile Scissors & Shears for clothing etc. Curved blade allows flush trimming and the cutting out of shapes. 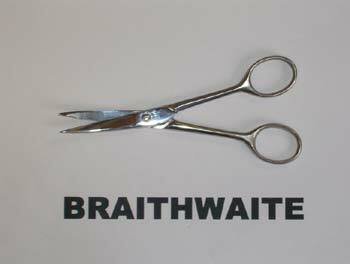 Textiles, threads, paper, thin card, finishing, general purpose office duties etc.